Tara Polzer Ngwato has been with ACMS since 2002, and is a Senior Researcher with an interdisciplinary background in Social and Political Science (Cambridge) and Development Studies (London School of Economics and Political Science). 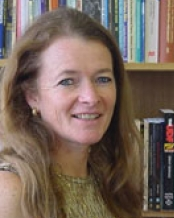 She conducts research in relation to Mozambican refugees; Zimbabwean migrants; humanitarian and legal responses to mixed migration and xenophobic violence; local government responses to migration; and migrants’ conceptions of belonging in relation to the state, the nation, and their local host communities. Her research interests also include conflict transformation and the effective dissemination of research findings. Kaajal Ramjathan-Keogh is the Head of the Refugee and Migrant Rights Programme and Office Manager of the Johannesburg Office and Law Clinic of Lawyers for Human Rights. Established in 1996, LHR’s Refugee and Migrant Rights Programme is a specialist programme that advocates, strengthens and enforces the rights of asylum seekers, refugees and other marginalised categories of migrants in South Africa. Elinor Sisulu is a writer, human rights activist and political analyst. Born in Zimbabwe, she was educated in Zimbabwe, Senegal and the Netherlands, she combines training in history, English literature, development studies and feminist theory. From 1980 – 87 she worked for the Ministry of Labour in Zimbabwe. She has published studies of women’s work in Zimbabwe and as a freelance writer and editor since moving to South Africa in 1990. 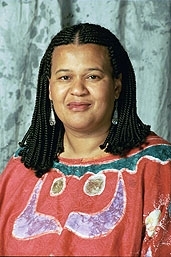 In 1994 she published an award winning children’s book The Day Gogo Went to Vote. Her biography about her mother and father-in-law, entitled Walter and Albertina Sisulu: In Our Lifetime was published to critical acclaim in December 2002. The book was runner-up in the 2003 Alan Paton non-fiction award and won the 2003 Noma Award for publishing in Africa. 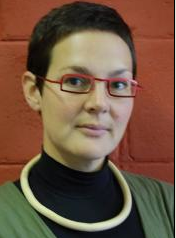 From 2003 to 2009 Elinor worked full time for the South African office for the Crisis in Zimbabwe Coalition, the major umbrella body of Zimbabwean non-governmental organisations. She will continue her association with the Coalition in an advisory capacity while she focuses more on writing and book development activities. Elinor had been active in book promotion in South Africa. She chaired the Centre for the Book advisory committee from 2000 – 2007. She is passionate about the promotion of children’s literature in Africa and has been instrumental in the establishment of a Children’s Literature Website in South Africa. She served as a judge for the Commonwealth Writer’s Prize in 1999 and she is Chairperson of the 2009 and 2010 Africa Regional judging panel.